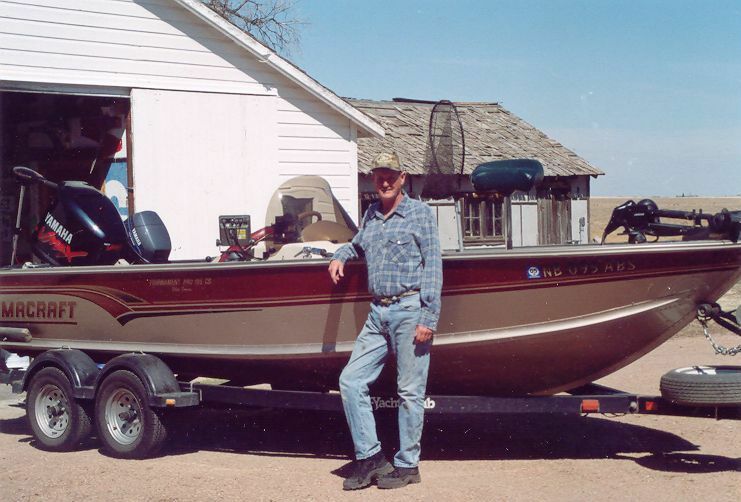 Ogallala Native with 25+ years experience fishing on Lake McConaughy. Lake McConaughy is located 8 miles northeast of Ogallala, right off of Interstate 80. It's an easy drive--just 3 hours from downtown Denver and just 4½ hours from Omaha. We will be fishing from a 19.5 foot Alumacraft boat fully equipped. Price for all Day. Prices include boat, gas, rods, reels, tackle, & bait. Customer Responsible for permits, food, and drink. John Boy Guide Service is provided by the same company that manufactures the "walleye proven" John Boy Lures. Quality spinner rigs and popular jigging spoons in many sizes and colors. Available at many tackle stores throughout the Midwest. Manufacturing quality since 1976. Fishing has long been the primary drawing cord at Big Mac, with its cool, clear, deep waters. Game fish vary from sporty rainbow trout to the everyday catfish. Prized most highly by the local angler is the walleye, and Nebraska's current state record of 16 lbs. 2oz. which came from Big Mac. Also top ranked is the white bass fishing. In recent years, a close relative of the white bass has also been stocked, the striped bass which offers a tackle-busting contest an angler will not soon forget. Although smaller in size, the smallmouth bass too provides some dynamite action. You will be fishing out of a fully rigged, clean 20' Lund boat with Bryan Mickels, a life long resident with a 25 year wealth of experience and knowledge to take you on the most memorable fishing trip, and I will clean your fish at day's end. Call today to book your Lake McConaughy guided fishing trip: (308) 289-4864.